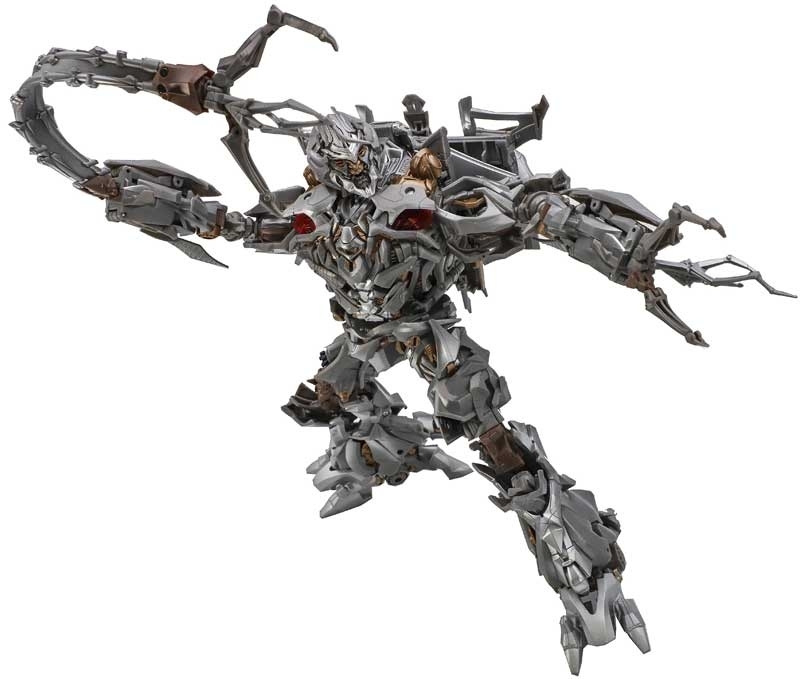 As the battle between the Autobots and the Decepticons rages in the streets of Chicago, Megatron blasts his way through, leaving fiery destruction in his wake. 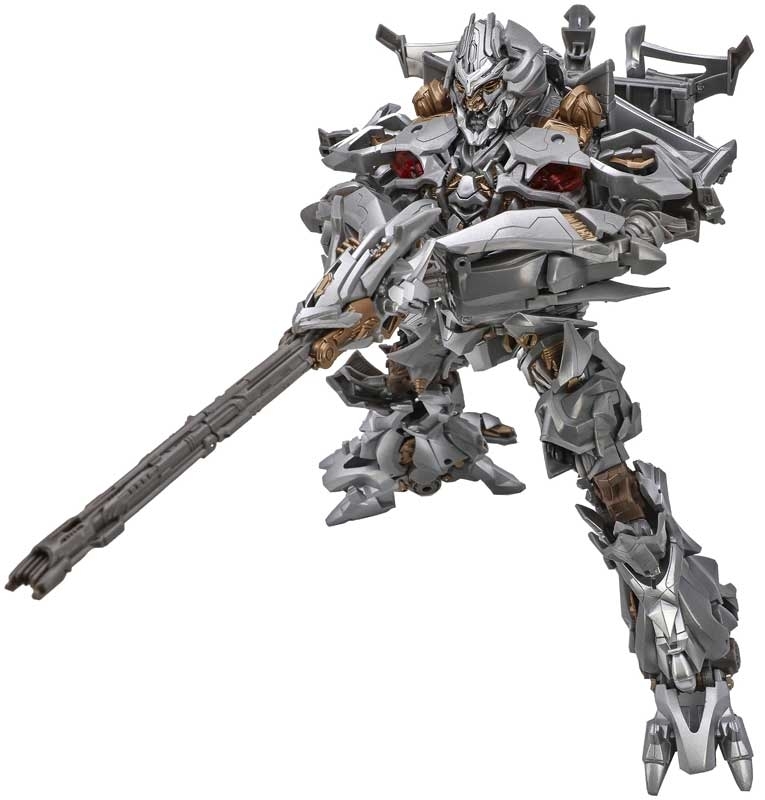 The merciless Decepticon uses his sleek Cybertronian jet mode to tear through the skies, dragging along the Autobot Jazz, then uses his massive robot form to tear the bold Autobot in two. 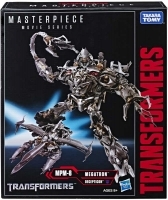 Use the Megatron MPM-8 and Autobot Jazz MPM-9 figures to recreate the iconic first film moment when Megatron rips Jazz in two. 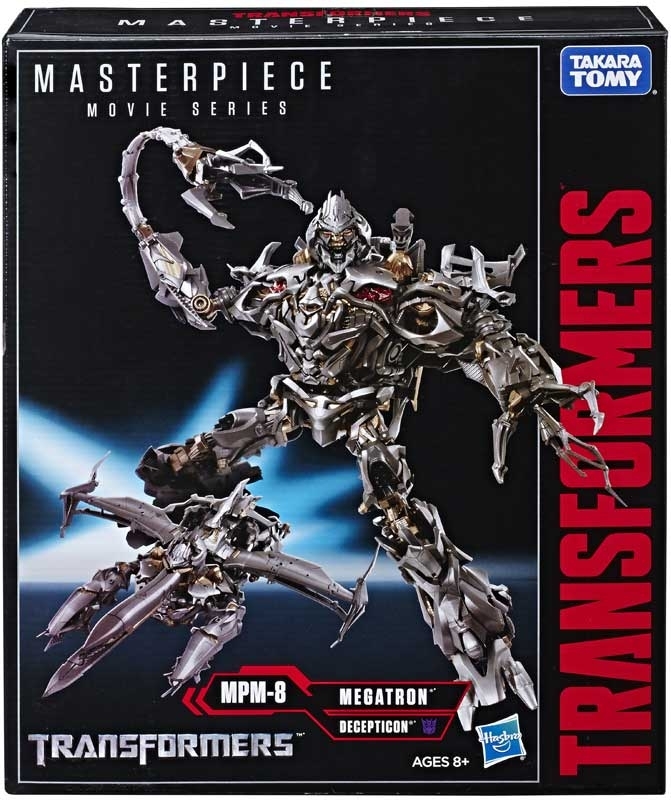 (MPM-9 sold separately. Subject to availability). Masterpiece Movie Series Megatron MPM-8 figure is the perfect authentic figure for fans and collectors alike, with features inspired by the explosive 2007 Transformers live action film. 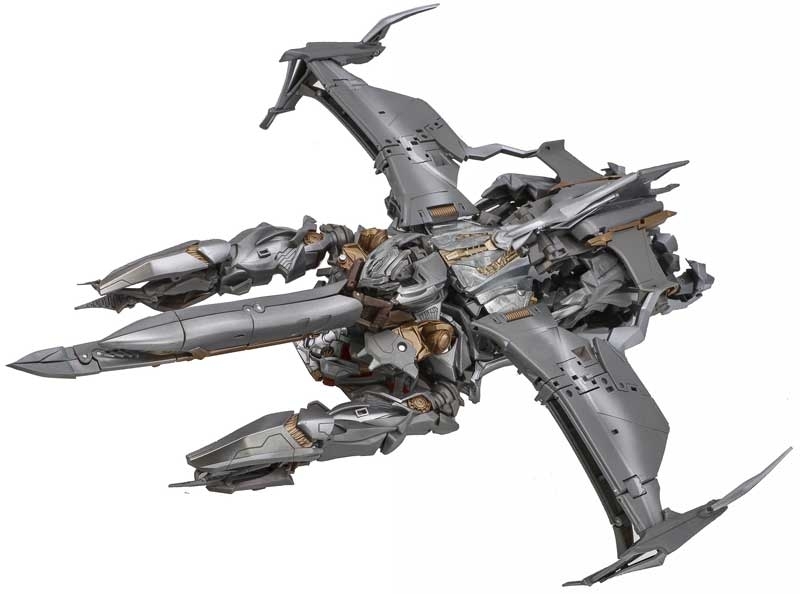 The figure showcases the merciless Decepticon leader with impressive attention to detail. Imagine unleashing Megatron action with articulated hands and mouth, die-cast detailing, and Fusion Cannon, chain whip and Allspark Cube accessories. 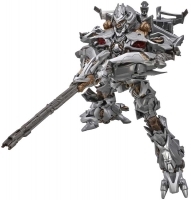 Converts from robot to Cybertronian jet mode in 50 steps. 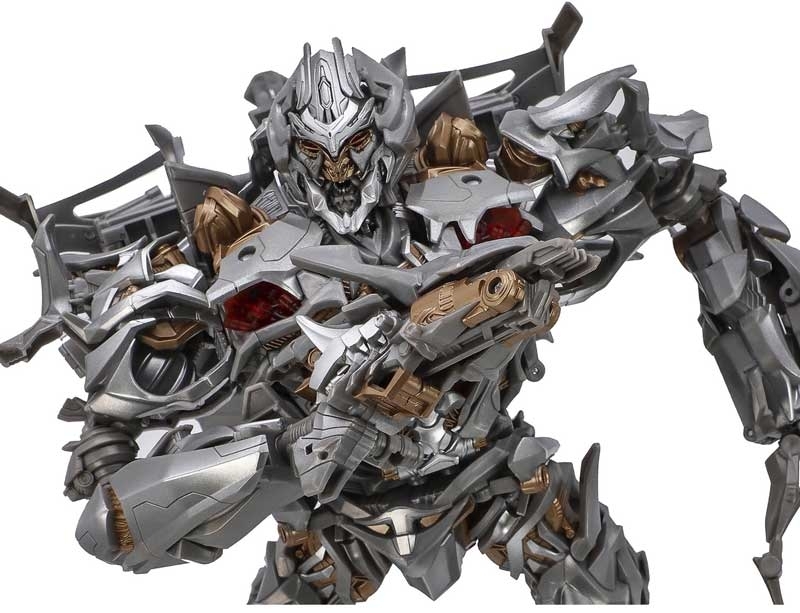 Transformers and all related characters are trademarks of Hasbro.